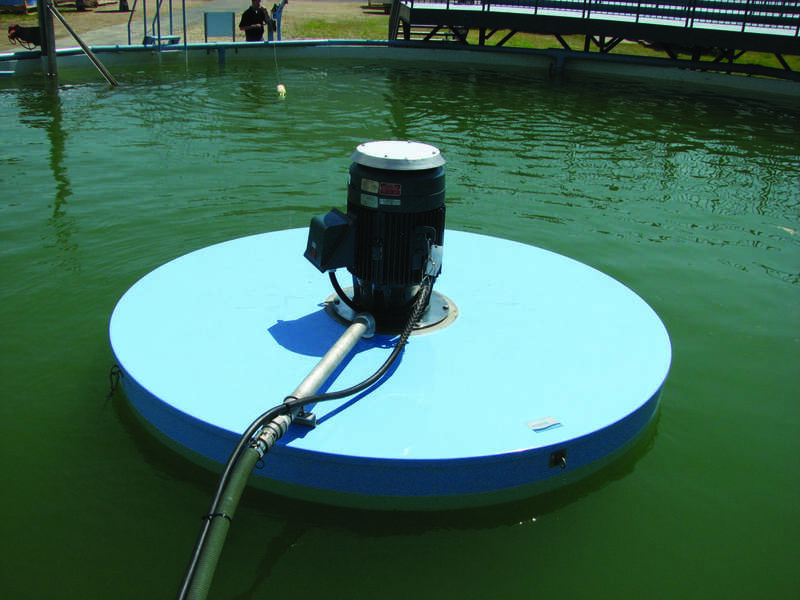 Aqua-Aerobic Systems, Inc. has been an industry leader in surface aeration and mixing since 1969, with thousands of units installed globally. When there’s a requirement for efficient introduction of oxygen into a wastewater system, the OxyMix pure oxygen mixer provides a comparably economical solution to other pure oxygen devices used in wastewater applications. The regenerative mixing pattern of the OxyMix pure oxygen mixer provides top-to-bottom mixing of the biomass, providing even oxygen distribution (see illustration to the right). The proprietary design of the gas injection device (GID)ensures oxygen dissemination throughout the majority of the liquid. The GID has multiple oxygen injection points below the unit’s impeller, where liquid velocities are highest. The downward liquid movement draws the oxygen down into the basin where it has the maximum residence time for efficient oxygen transfer.